For this year’s Earth Day, ARBICO is donating to The Sonoran Institute. This is a non-profit located here in Tucson, with a reach that encompasses large areas of the West and into Mexico. Their focus is on protecting and restoring waterways and other natural resources while building and nurturing the communities that depend on them. 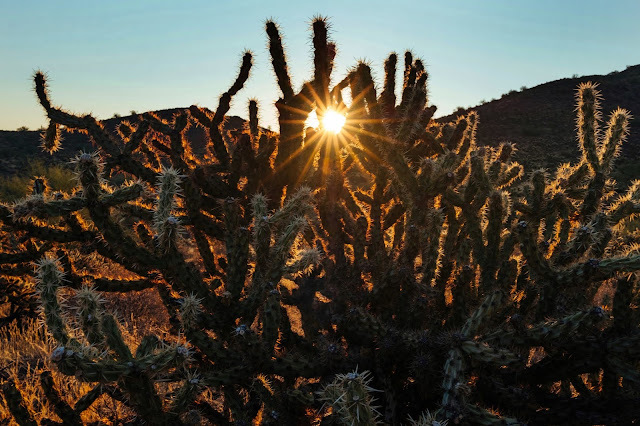 We feel this mission fits well with how we see ourselves here at ARBICO – we have our roots in the Sonoran desert but our environmental concerns and responsibilities branch out much further. Their work on restoring the Colorado River estuary perfectly exemplifies what they do. It’s a cross-border initiative whose goal is to revive the natural runoff of the river and recreate the delta’s ecosystem, including those towns that dried up along with the river. Learn more here. I encourage everyone to find a way, great or small, to support these environmental warriors. Bring All The Pollinators To Your Yard. We have all heard about the decline in pollinators and the real-world implications are truly frightening. But what can one person do? Plenty, as it turns out. Make the commitment to support pollinators in your own small part of the world – your yard or garden. 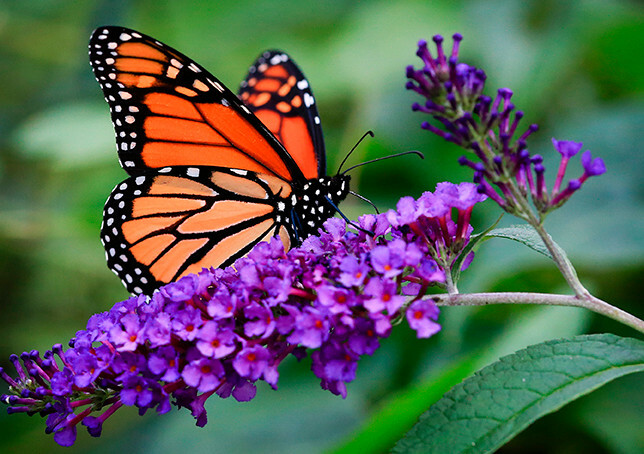 It only takes a few thoughtfully considered steps to turn your space in a pollinators’ haven. When thinking of pollinators, it is important to remember that not all pollinators are honeybees. In North America, it is estimated that honey bees make up about 1/3 of active pollinators, with native bees providing slightly more than that and non-bees rounding it out. There are eye-opening 4,000 species of native bees (honey bees are native of Asia) out there doing their pollinating duty. 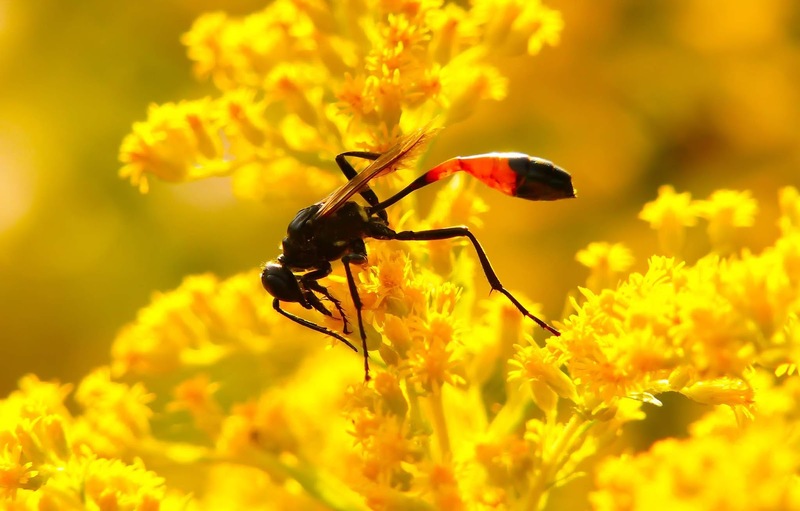 Other insect pollinators include flies, dragonflies, wasps, ants, mosquitoes, butterflies, moths and flower beetles. And then there are the birds, reptiles and small mammals like bats and mice. There are also human pollinators (although they don’t rank a percentage). For instance, the vast majority of vanilla beans being grown these days are hand-pollinated, a result of the decline of the specific bee that pollinates them. Read more here about this interesting cautionary tale. With all these possible pollinators, there are many different avenues to consider when planning a pollinator-friendly space. Go Native: Native species are incredibly important to any healthy pollinator habitat; let’s encourage them. • Seek plants that are native to your area. This does not mean that you need to research the botanical roots of each plant you have and then rip up and replace the ones that have origins elsewhere. Many plants have been here long enough for the local pollinators to have adapted to them. The Camelia is a good example of this. This flower was first introduced to North America in 1797, but is now fully accepted and loved by our native insects. • Avoid flowers that have been bred to have double blooms. 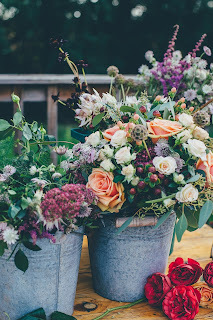 These varieties are undoubtedly beautiful but have less pollen and what they do have is harder to access. • Don’t forget night-blooming flowers for those nocturnal pollinators - moths and bats. 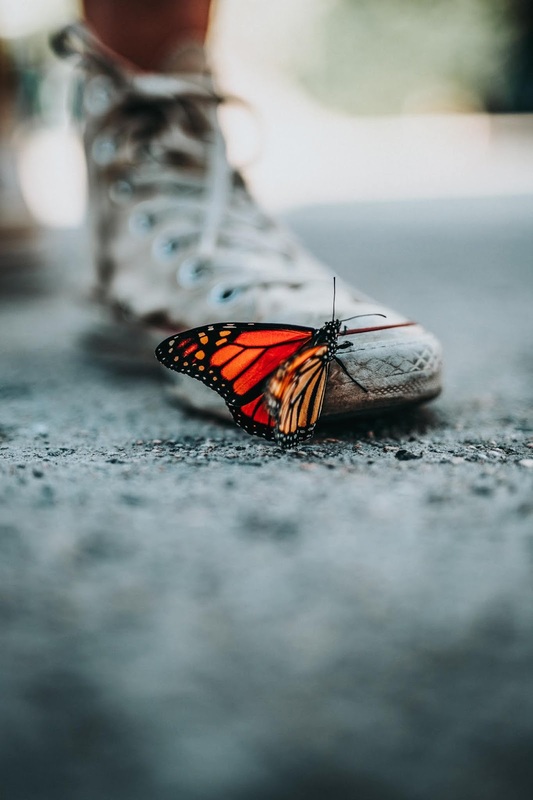 • Plant Milkweed for the Monarchs. This native plant is crucial to the survival of these beautiful butterflies and it is quickly disappearing in the wild. Many other pollinators appreciate it as well. Two good reasons to plant it. • Still not sure what to choose? There are excellent lists available to help you choose the perfect pollinator-friendly plant to add to your garden. To attract and keep pollinators in your yard, you need to create a constant source of pollen and nectar. • Native bees need to feed for months; plants that bloom just once (no matter how spectacularly) offer very little for these insects. 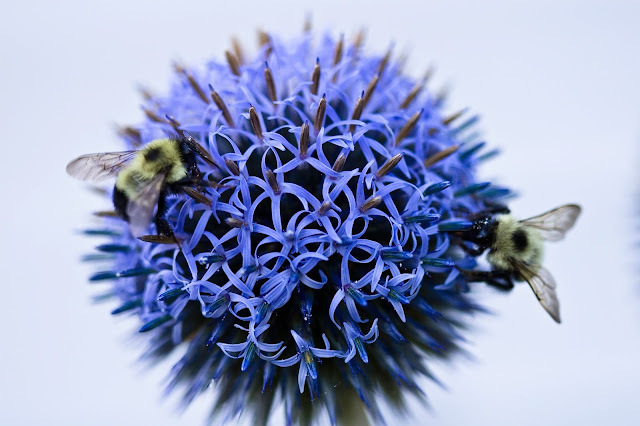 • Throughout the growing season (spring to late fall), aim to have something bloom every week.Think variety to make your garden more attractive to a larger number of pollinators and more interesting visually. 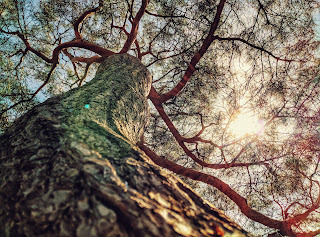 Look Up: When considering planting for pollinators, look at trees. • Not all pollinators are found close to the ground, many trees harbor and nurture butterflies and other pollinators. 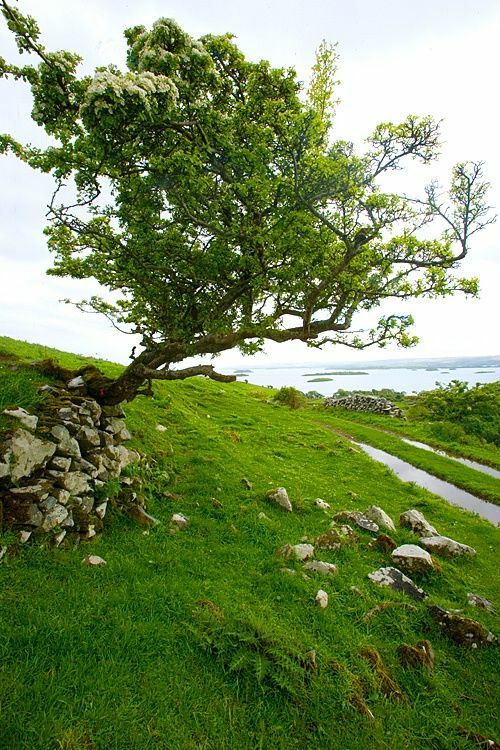 • Oak trees can support 500 different species of butterflies and moths; for most common flowering perennial that number would be in the dozens at most. 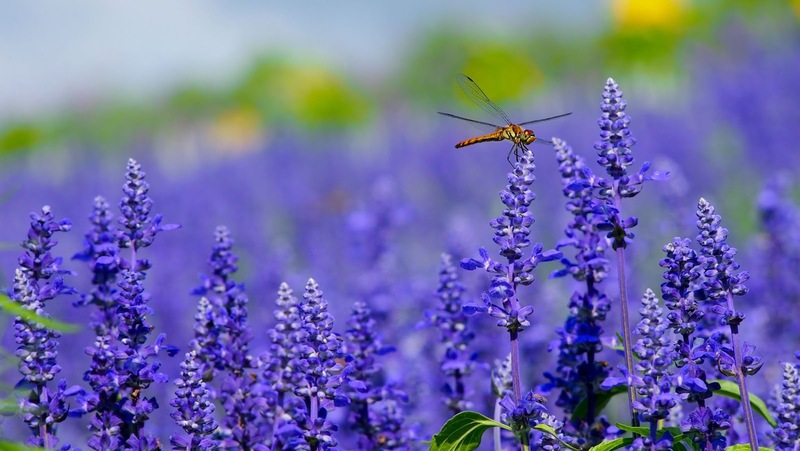 Herbs Are Great: Herb gardens are especially attractive to bees, butterflies and hummingbirds. • Many popular herbs (dill, parsley, basil) are imports, but they are closely related to native herbs. This genetic similarity makes them eminently acceptable for our native bugs. • For maximum pollinator effect, only snip off half your plants. Allow the other half to flower. In otherwise, share the goodness. • Planting an herb garden is a no-brainer; even if you can’t lure pollinators to it you can enjoy its bounty yourself. Don’t Over-groom: What you see as messy-looking is appealing to the creatures that fly and crawl. • Let plants wander and bloom at will. All the nooks and crannies create habitat or hiding places for our helpful insect partners. • Re-think weeds. Blooming weeds and wildflowers are the natural lifeline for native pollinators in the months following spring blossoms. 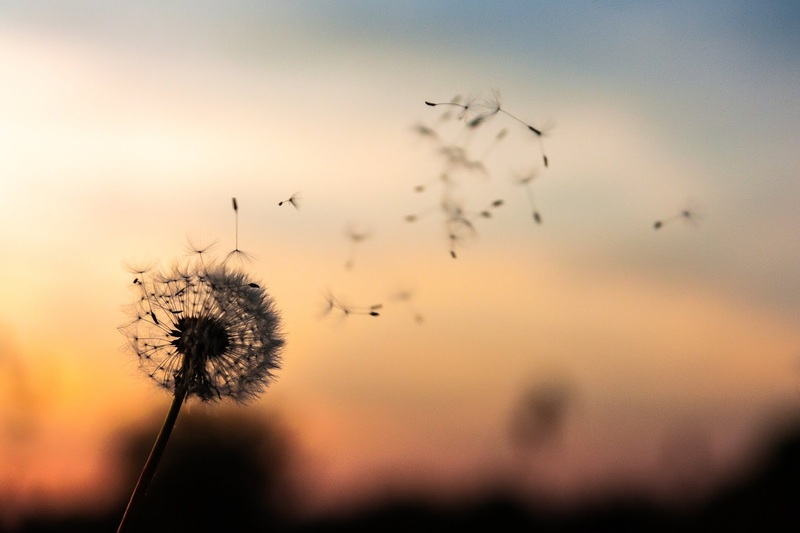 Weeds may be unsightly to you, but they are highly desirous to a hungry insect. 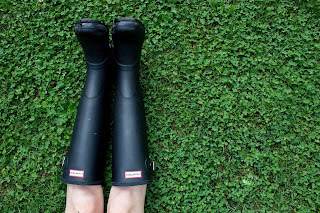 One option is to simply allow some weeds to flourish on the edge of your carefully cultivated space. • Leave some debris around to give native bees a place to nest. One dead limb is an excellent bee condo. Lawns are the number one irrigated crop in America, which is problematic. • Lawns don’t provide food and offer very little to pollinators and wildlife in general. All good reasons to reduce our attachment to them. • If you are not ready to give up your lawn completely, try giving up a little bit around the edges and see how that feels. 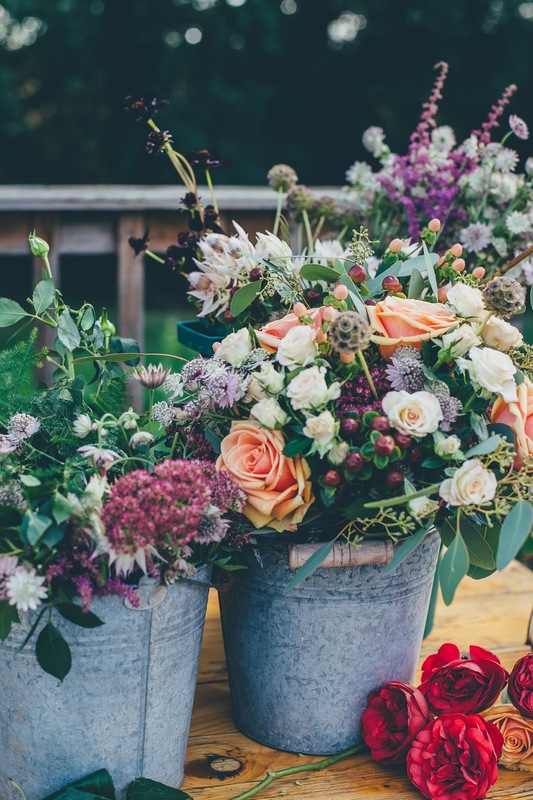 A slightly larger flower bed or a border around a sidewalk or driveway can be filled with lovely flowers. You’ll use less water and make our pollinators happy. • You could also transition some of your lawn to a cover crop. There are a number that make a lovely mat of low lying foliage and many (like the clovers) are flower-filled and beloved by pollinators. There are many other things that can be helpful in building a pollinator friendly garden, such as providing water or a salt lick. 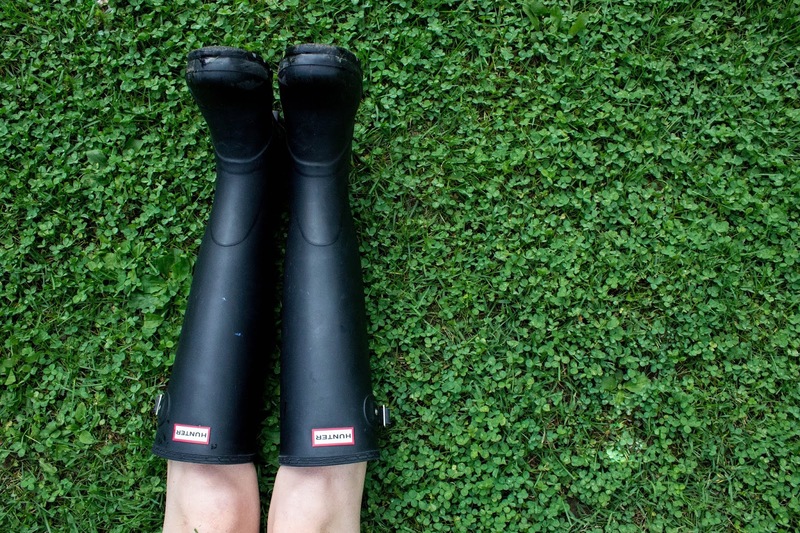 Providing water can be as easy as finding plants that capture rainfall. Or build something; here are instructions for an easy water feature and here is a short video on salt licks. In my research for this article, I came across the Million Pollinator Garden Challenge. They are doing some really cool stuff and I encourage everyone to join their movement. Or start your own movement right at home. Paul Stametts, an American mycologist and author, has an interesting theory on how certain fungi can help bring our bees back to a healthy population. Here is a 10 minute clip that explains this further. On another note: The big news this week was the fire at Notre Dame cathedral. From what I’ve read, they were able to save many (if not most) of the treasures that were inside. Another form of treasure also managed to make it out of the fire – their bees. It seems that there were three hives on the roof that miraculously survived. Read all about it here. Enjoy – it’s heartwarming. Pyrethrin insecticides offer a reasonable solution for the environmentally conscious gardener. Derived from Chrysanthemum cinerarifolium (a flower genus that includes both the Chrysanthemum and the Daisy), these extracts have been used since ancient times to fight insect pests on both people and plants. Pyrethrin insecticides have been around for so long because they work so well. But, before you spray this power to kill should be taken into consideration. 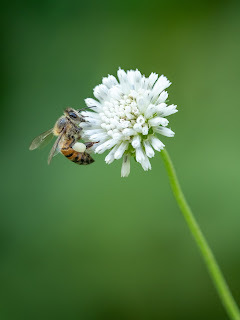 For the purposes of this blog, I am going to focus on bees. 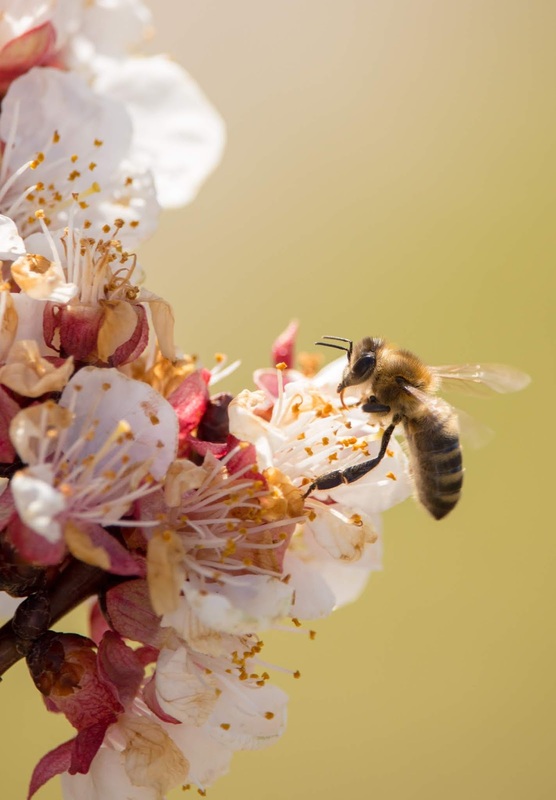 Although Honey Bees are the number one pollinator in the world and their existence is currently threatened, they are by no means the only pollinators. However, the efforts one can take to reduce harm to bees will also work to protect beneficial insects, other pollinating insects and even non-insect pollinators. The dangers to bees from pyrethrins are the same as the danger from any other insecticide, but pyrethrins do not persist in the environment as other more toxic insecticides will. They will, instead, break down rapidly, especially when exposed to natural sunlight. This makes them by far the superior choice for putting in your garden or grow. Bee deaths from insecticides come from a combination of events; a perfect storm of pollinator danger. Most fatalities happen when pesticides are applied to flowering crops and then allowed to drift at a time when bees are actively foraging. To address and lessen these hazards, we can break them down to several things you should be aware of: temperature, drift/distance from treated area and timing of application. 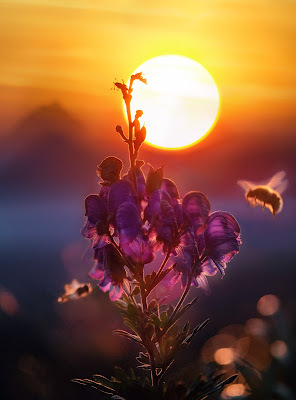 Temperature: Bees forage only in sunlight and love high temperatures, so they are out and about on bright summer days. Additionally, sprays are more likely to vaporize under high temp and this vapor can be an even greater threat than the spray itself. Which means you should only apply insecticides in the late evening or night. Early morning applications can be done as long as you are sure that the insecticide will have dried before bees can get to it. • Pesticide drift is caused by multiple factors: weather, application method, equipment settings and spray formulation. 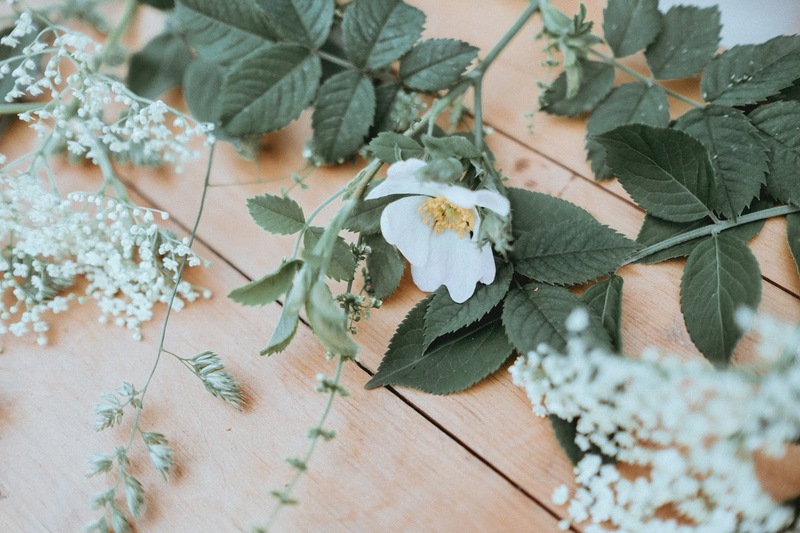 Often, spraying will occur on flowering crops like fruits and vegetables and drift onto flowering plants like weeds and wildflowers, effectively stopping insect activities in both areas. 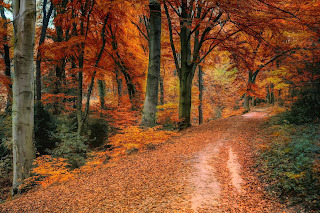 • Insecticides applied in one area can affect insects and wildlife more than a mile away. Create a buffer zone around your spray area. Most bees forage 1-2 miles from their hive, but can travel much farther; so the larger the buffer the better. • Be aware of the weather when you spray. Even light wind can enable drift and low humidity with high temperatures are optimal conditions for drift. Conversely, moderate temperatures with some humidity decrease the potential for drift. • Carefully calibrate your equipment (smaller droplets drift more) and avoid aerial applications and mist blowers. Here are some more tips to manage your drift. 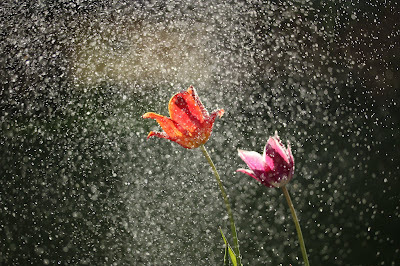 Timing of application: If possible, never apply pesticides to flowering plants. Insect control should take place either before or after flowering. If application is unavoidable, a pesticide with a short residual rate (pyrethrins are perfect!) can be applied in the evening when temperatures are under 60 degrees. • Before spraying, remove any flowering weeds around the area you will be spraying. This will reduce the temptation for pollinators and help form your buffer zone. • Avoid spraying any favorites of pollinators. • If possible, use pyrethrin insecticides in liquid formulations. Products with dusts or granules can easily stick to bee’s hairs and be taken back to the hive and cause damage there. • Always read the manufacturer’s label and apply insecticide at the minimum recommended rate. Never exceed the recommended amount. If you would like more information on how to look out for pollinators, I highly recommend you check out the Xerces Society. They have been in the forefront of invertebrate conservation since 1971 and really know their stuff. Looking for an effective, organic garden pest control spray? 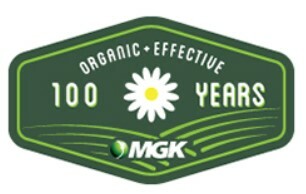 Check out the great organic pyrethrin-based liquid insecticides from our partner MGK Gardening - a proud producer of botanical pest control solutions for 100 years! 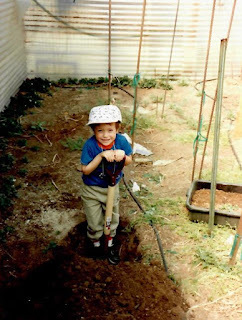 I remember being very young, maybe in kindergarten, talking with my friends about what jobs our parents had. My friends’ parents were teachers, construction workers, dentists and so on. When it was my turn to talk about my family, I nonchalantly said, “My parents grow bugs and we live on a bug farm”. 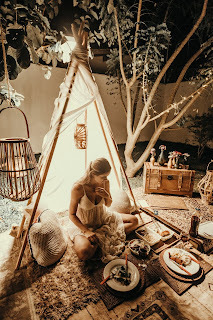 I was met by the wide-eye look of confusion from my friends,“you live where?” I thought living in a house next to an insectary where millions of live insects of various kinds were growing was totally normal. Looking back, I feel lucky to have had such a unique upbringing and experience. My parents started growing and selling insects years before I was born, so ARBICO has always been a huge part of my life. 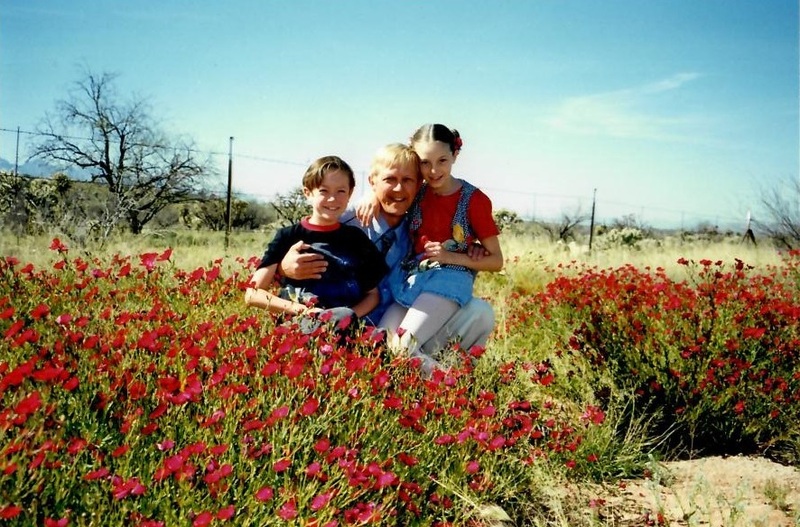 Being in the bug business continues to play a large role in defining what family is to me. Some of my earliest memories are of spending time with my parents at ARBICO. I loved tagging along with my dad at the end of the day to “check the bugs”. We would do a walk-through of the insectary and check the temperatures of the various rooms where insects were in different stages of their development. The “fly room” was off limits for me though. My dad said that it was too intense for a four-year-old to handle being in a room filled with hundreds of thousands of flies. I disagreed but obeyed, hoping for his mind to change. Later in childhood, I looked forward to playing in the offices with the Xerox machine and computers, selling lemonade to the ARBICO staff, helping my parents when kids visited on field trips and spending time in the ARBICO garden. 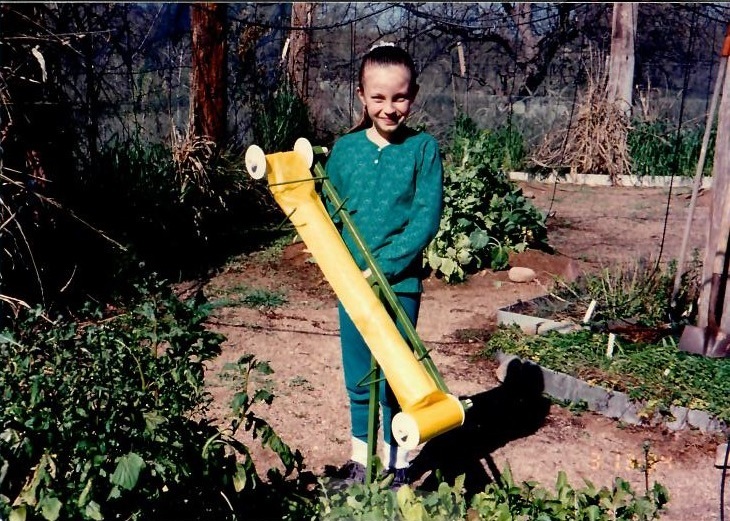 It doesn’t snow much here in Tucson, but we learned that we could jump in an empty tray used to grow bugs in and slide down ARBICO’s giant compost pile (an added bonus of being a bug farmer’s kid). Throughout the years, many of my extended family worked at ARBICO, including my grandfather, aunts, uncles, cousins and many family friends. I remember feeling so much excitement when I was old enough to help alphabetize invoices for my Aunt Gloria. When we weren’t at the bug farm, we would still spent a lot of time doing insect-related things. I remember my parents taking my younger brother and me up to Mount Lemmon to see the ladybugs that hibernate in the bark of the pine trees. Bugs were our life! As we got older, my younger brother, Clayton, and I got more invested in our own interests, but still spent time in the summers in the office or working at the bug farm. One of my first summer ARBICO jobs was working in Shipping, where we jammed out to classic rock music while packing bugs to ship out all around the United States. When visiting home, I always looked forward to spending time at the office especially helping my mother with her projects. I’ve worked in all areas of ARBICO, including accounting and sales. I continued to work for ARBICO over the years, even when I lived outside of Arizona. I would jump at an opportunity to help with projects like editing our catalogs or attending an event. It was inspiring to be at events and meet our customers (especially those customers who have been with us from the beginning) and hear first-hand how happy they were with the results from our products! Right now, I am back in Tucson and spend my days helping our Marketing team, which includes my brother. I have loved watching this company grow and I value the friendships and learning opportunities I have come to have here. After all this time, I am so proud of what ARBICO has become and am thankful for everyone who has played a role in this company that holds such a special place in my heart. I can’t imagine a way to describe the way family feels to me without ARBICO. In case you are curious, I did finally get to go into the “Fly Room” and my dad was right. I immediately freaked out, swallowed a fly and ran out crying. I haven’t been back since. Ah, Spring! 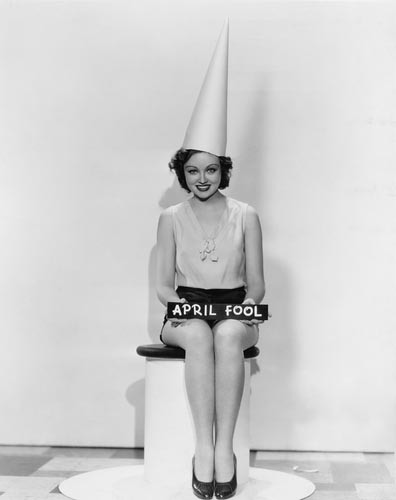 – a time for love, bountiful blossom displays and,inevitably, April Fools’ Day. This quasi-holiday has traditional roots in Old World Europe but is now celebrated in places as far-flung as India and Brazil. Although the exact reason for pranking on April 1st have been blurred by history, many possible origin stories point to celebrations of the Vernal Equinox and end-of-winter festivities as far back as the Celts and Romans. 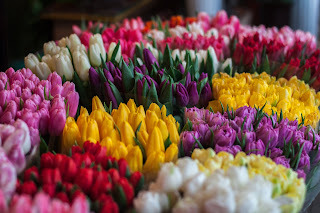 Spring planting traditions come into play at this time of year and many people believe that April Fools’ Day speaks to the foolishness of planting in the unpredictable weather of early spring. Which ones are the Lichops? A surprising number of pranks and hoaxes have grown out of the gardening and botanical worlds over the years. Perhaps, in part, because there are many plants who are tricksters in their own right. 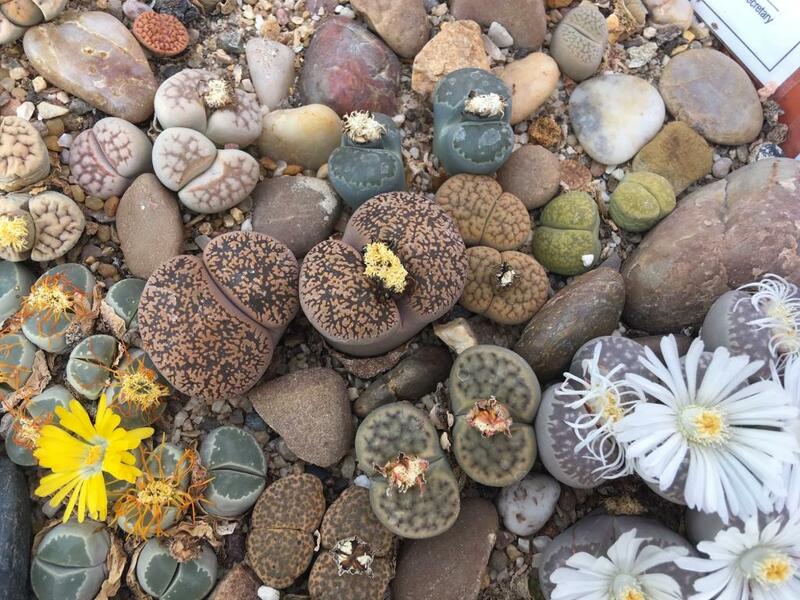 Take the Lithops, for example: Also known as “Living Stones”, these southern African succulents have evolved to look like just another rock in the ground (a “no need to look here” for any herbivore searching for lunch). Then there are the Fooled You Peppers: These fascinating little green gems have the look and flavor of jalapeños without any of the heat. This is a wonderful thing for people like me who cannot handle the heat. I also think there is a juicy prank in here somewhere (like: I’ll bet you I can eat 15 of these jalapeños without stopping” kind of thing). 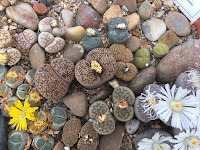 Here is an article from the Smithsonian with more interesting prankster plants and here is a link to my blog from last October about strange plants (who are also mostly fakers). As I mentioned before, plants and gardening seem to find their way into April Fools’ pranks quite a bit. 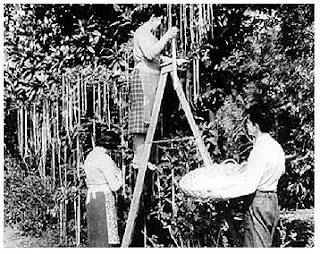 One famous example is the 1957 BBC presentation of “Spaghetti - Harvest in Ticino”. In this bit, their news program, Panorama, “reported” on the bumper crop of spaghetti that grew from spaghetti trees due to mild spring weather. A well-known war correspondent narrated the piece with the utmost gravitas, giving it extra credibility. Many people were fooled, of course, and some even tried to book holidays to go see the crop for themselves. This is a perfect example of how something that is clearly absurd can be said with enough sincerity that people will believe it. In 2005, another legitimate news source, NPR (National Public Radio) perpetrated its own tree-related hoax. 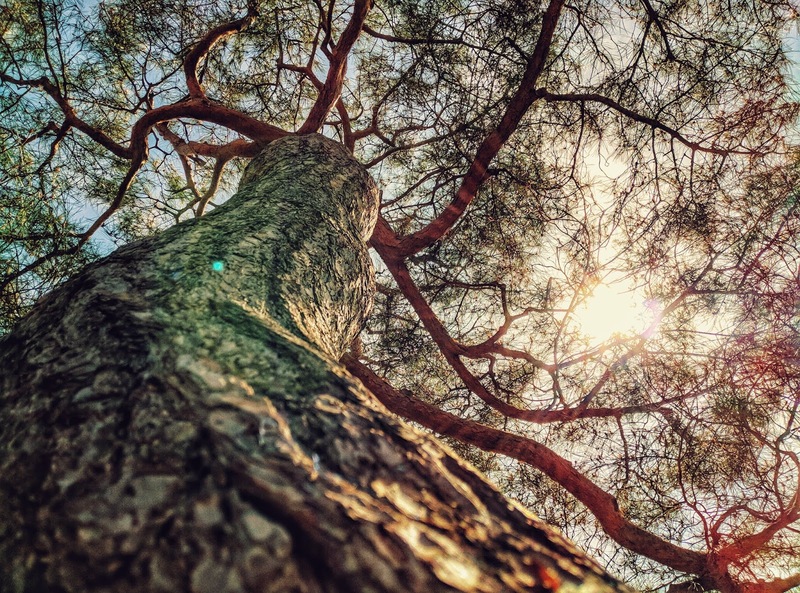 As heard on their program All Things Considered, they claimed that Maple trees in New England were exploding and causing serious injuries and even death. 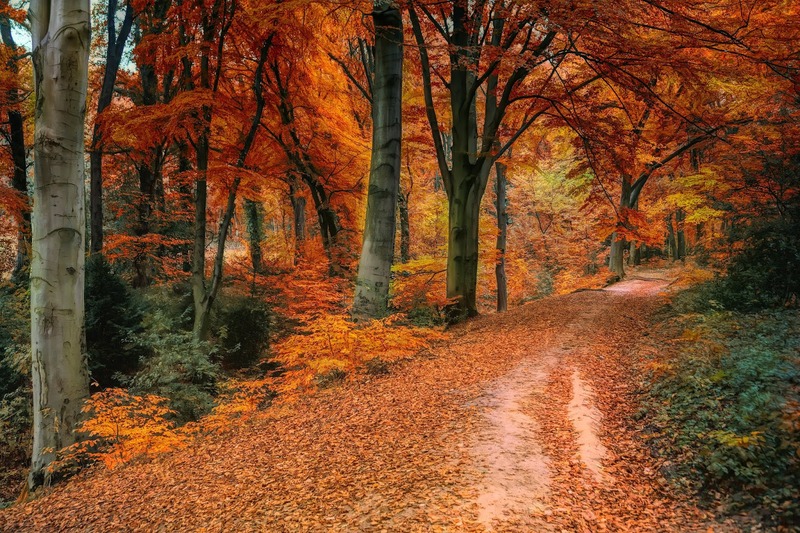 According to this fanciful report, the trees were exploding due to a decrease in maple sugar consumption, which meant that the trees were not being tapped and had built up sugar pressure. Apparently, this this hoax has stuck around; here is an article where they are still trying to debunk the myth in 2015. Hear the NPR program here. It seems like people these days are willing to believe anything can be hybridized; go on the internet and you can find hundreds, if not thousands, of stories of fantastical hybridized living things. While there are amazing hybrids, the pinana is not one of them. This banana-pineapple hybrid was the 2009 April Fools prank of the British supermarket chain Waitrose. 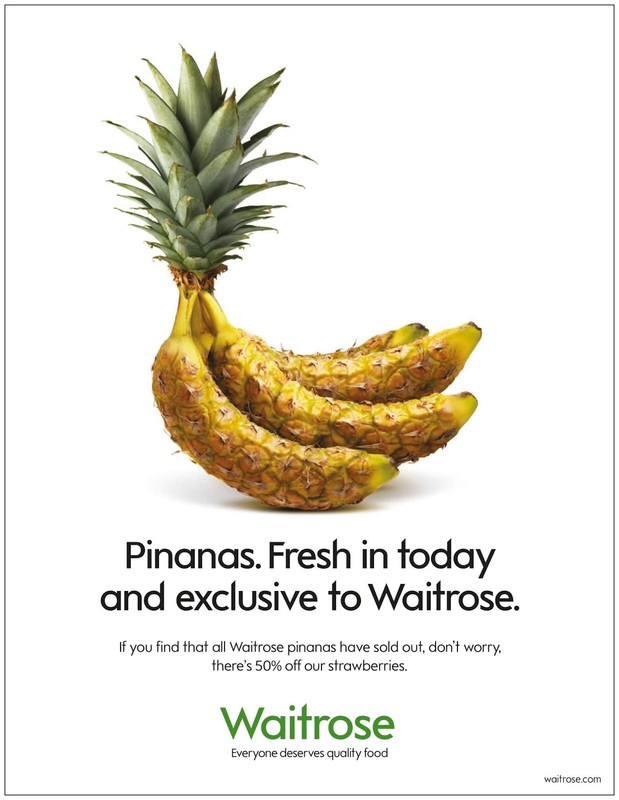 Although it’s not a real fruit hybrid, I think they should get on this and create it for real – it sounds delicious. Google has even got into the garden hoax business with their 2017 “announcement” of a smart device for your yard – the Google Garden Gnome. The video is really funny – it almost makes me wish this were real. I have not participated in any April Fools’ pranks since my brother and I decided it was a good idea to interchange the sugar and salt on our kitchen table. Soon after our father sat down for his morning coffee we discovered that it was a really bad idea. 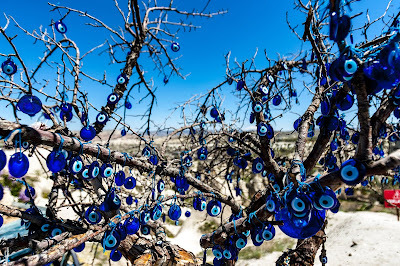 That said, after all these years I am willing to present my own botanical hoax, albeit in a halfhearted way - I am going to see if anyone wants to bite on the Evil Eye Tree that I posted at the top of this blog. Would there be someone out there who believes that it really grows evil eye amulets? If you are an unrepentant prank-puller, here are some ideas for you. I hope that you can find something fun and new to do, but do so cautiously - not everyone will think they are as funny as you do! This week I came across a delightful book, The Cocktail Hour Garden by C. L. Fornari. Although this book is chock-full of beautiful pictures, clever ideas and delicious-sounding drink recipes, it's the over-arching theme that grasped my attention and imagination. 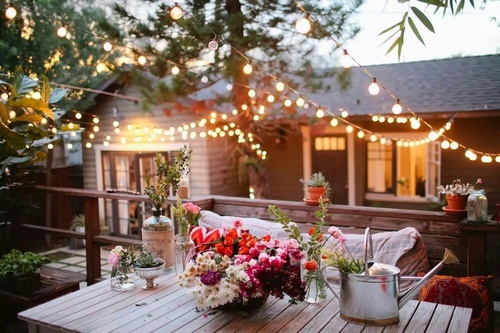 Fornari advocates for taking some time at the end of the workday to put down your devices and sit outside and just relax in your garden, either with other people or as some alone-time. 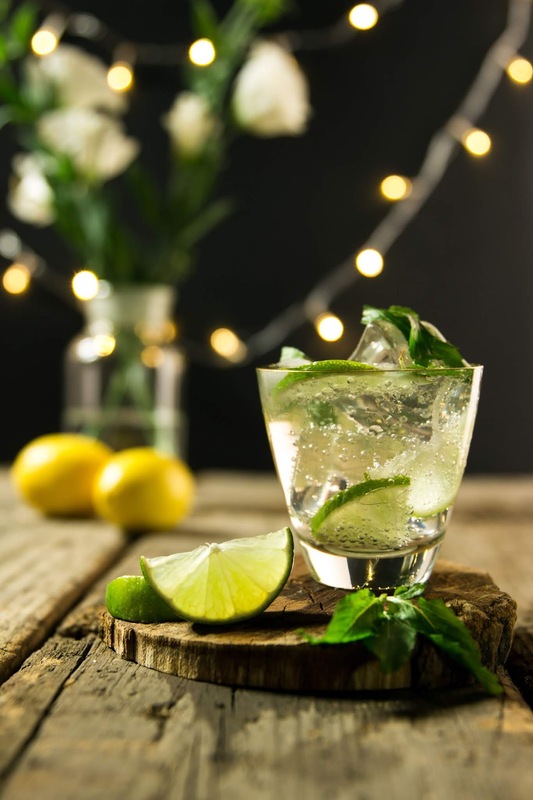 Refreshing alcoholic beverages are optional, of course; but there are some really interesting plant-infused libations.There may even be some that have ingredients you can directly source from your yard. 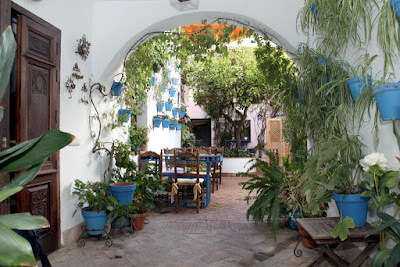 The point is that a yard or garden should be not be seen as a set of chores or just as a food resource, but instead should be actively enjoyed in and of itself. Think outside the box - Most of us would not wear dated clothing or use a computer from 1980, but we give little thought to updating our landscaping. Get rid of the shrubs-around-the-foundation-and-lawn-to-the-curb model and experiment with shape color, and plants that are new to you. Here are some excellent suggestions for starting a new garden design or renewing the one you have. shows how. Want to grow up a brightly painted wall? Do it! Whatever pleases you most and adds to your enjoyment should be what you choose to do. Create dimension - Use walls, tree branches, staircases and hangers to create a multi-layered growing environment that envelopes you in its beauty. This will give your eyes a variety of scenes to feast on as you relax with your favorite beverage. 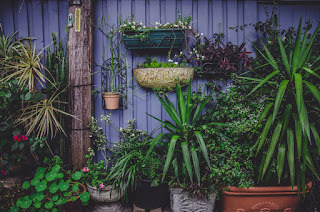 Year-round enjoyment - To keep your garden glorious and accessible throughout the seasons, it’s time to move away from short-lived seasonal blooms and embrace plants(or even a series of plants) that are long-lasting. Year-round gardening is a win-win; you have continual beauty and/or bounty and our valuable pollinators will have a food source week after week. With the addition of cooling fountains and cozy fire features, you will have an all-season backyard retreat. Not all walls are bad - The addition of shades, privacy walls and curtains can delineate and glamorize a specific part of your yard. 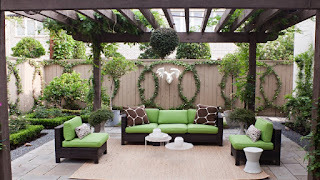 They can also give you additional growing options by providing shade where you want it. Add a rug to the mix and you have outdoor lounging at its best. Bird watching, anyone? 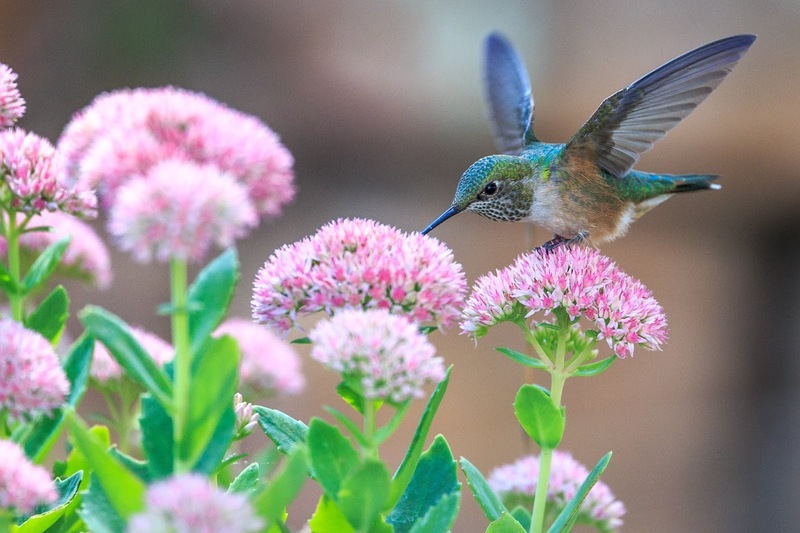 – If you are a bird lover, but are unable to get away to appreciate these flying treasures, lure them to your yard instead. Designing a bird-friendly garden need not be complicated, but the various species are geographically and seasonally specific. The Audubon Society is a great source of information if you don’t know where to start. 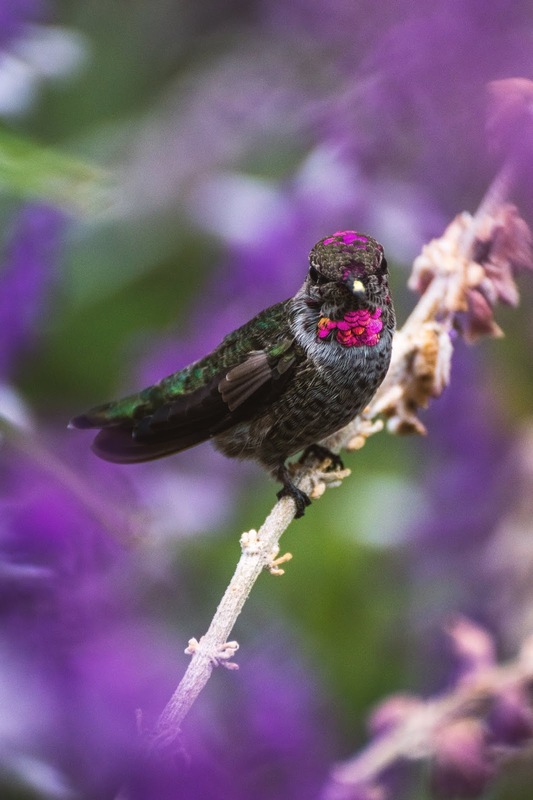 Here in southern Arizona we are lucky to have an abundance of hummingbirds and people come from around the world to see them. Hummingbirds are in everyone’s yard here, intentional plantings or not. 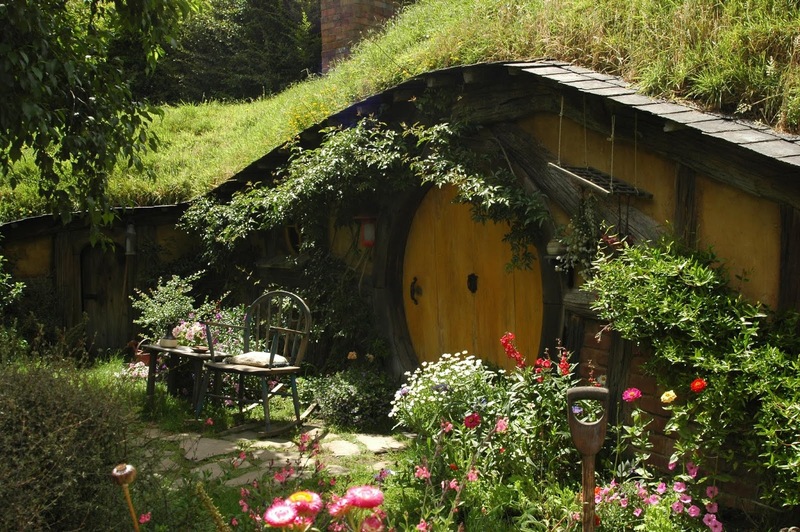 Perhaps you want a Hobbit garden. 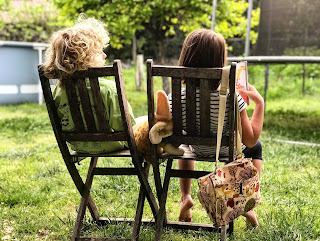 Critters in the garden – Watching the walking and crawling creatures that inhabit your garden is not only fun and fascinating, it can give you a very good idea how healthy the environment you’ve created is. However, there are some inherent drawbacks in planting for wildlife as this often means you are simply supplying food for them. Gardeners everywhere know what a cute bunny can do to a vegetable patch. Here in southern Arizona most people know that javelinas love pumpkins (see them at work on one here) and no one wants to invite them to any party. Check out what Nathaniel Wheelwright, author of The Naturalist’s Notebook has to say about all this here. Get a little country: If you enjoy a cowboy or country aesthetic and/or you want to try something inexpensive and environmentally conscious, consider a straw bale garden. 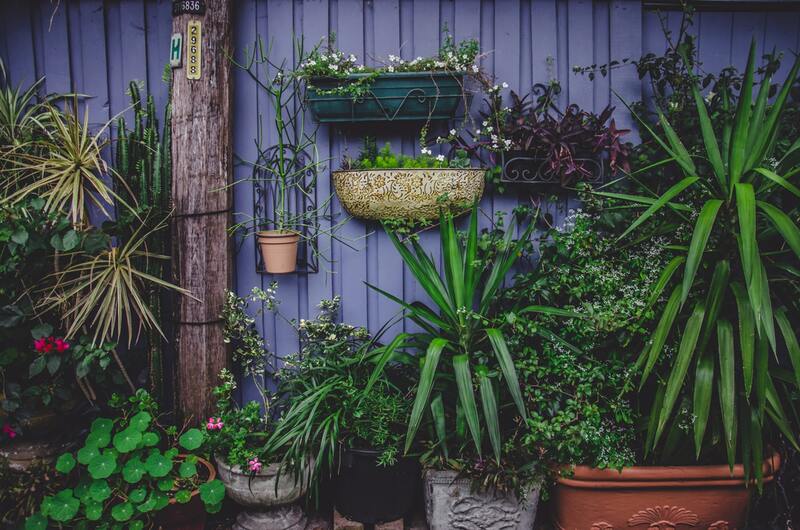 This alternative to container growing has great potential for areas that have little to no soil but need a little pizzazz (like along a curb or driveway). The possibilities are literally only limited to your imagination. Address problems ahead of time: Many common garden problems can be stopped before they begin. For instance, you can apply weed barriers before landscaping, and choose plants with an eye to pest control. 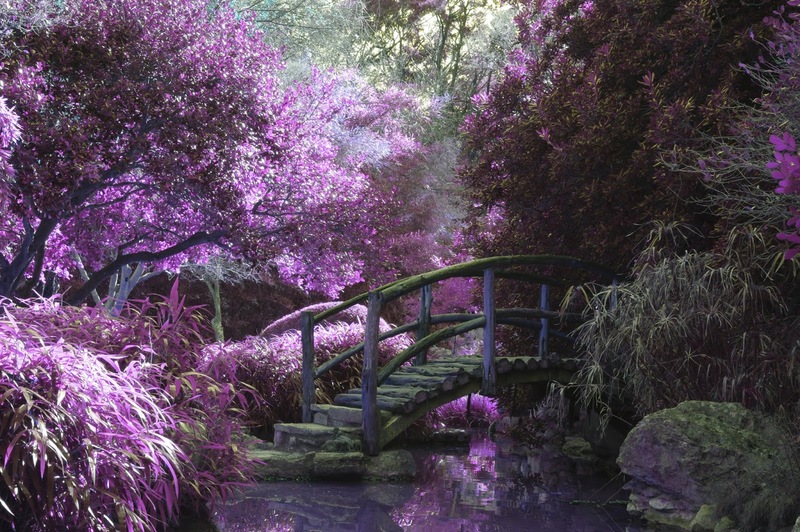 You can have it all - a beautiful garden that is easy to maintain. St. Patrick (real name: Maewyn Succat) was born in Britannia about 380 AD to a family of some status. He lived comfortably until age 16, when he was captured by Irish marauders and taken to Ireland. Once there, he was sold to an Irish chieftain who put him to work as a shepherd and that’s what he did for the next six years. I’ve been in Ireland during winter in the comfort of a 21st century life and it was harsh; I can’t imagine what it would have been like to be out in it during the 4th century. 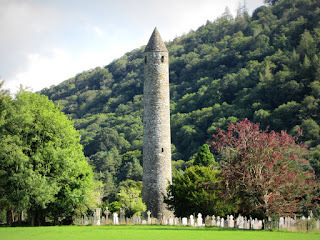 Eventually, St. Patrick escaped back to Britannia, where he studied for the priesthood before returning to Ireland in 433 to convert the pagan people that had enslaved him. 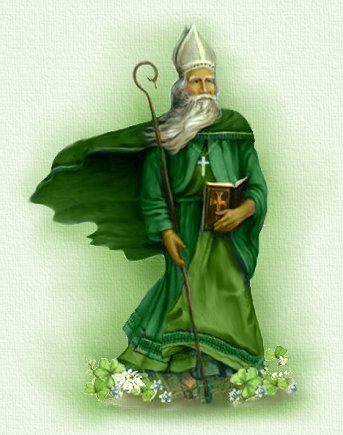 He is often depicted with a shamrock because he used this common, 3-leafed plant to illustrate the Holy Trinity to the native Irish. A holiday mash-up: There is another saint that inspired a holiday who has ties to Ireland: St. Valentine. Although St. Valentine was executed by the Romans in the 3rd century, an enterprising priest managed to acquire his bones in 1835. 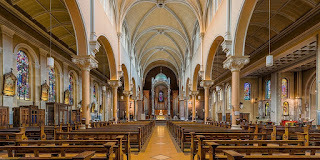 They are now interred in Whitefriar Street Church in Dublin. This has become a popular pilgrimage site for the lovelorn and love-struck. As is the case with ancient artifacts, not everyone agrees to the authenticity of these bones, but Dublin seems to have a pretty solid case. experiencing this deep history. Castles abound, as do ruins of all kinds. But, there are some structures that are both extremely old and in extremely good condition – the round towers. 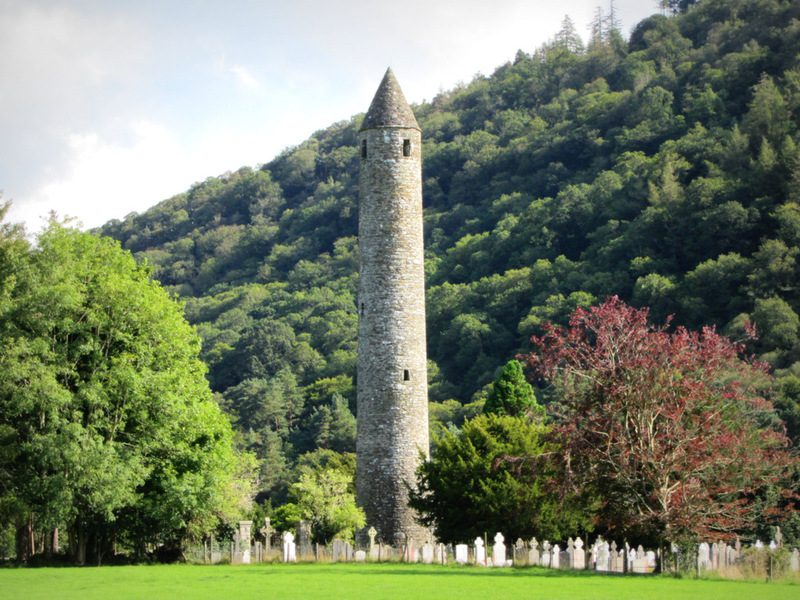 There are 65 of these tall (some are over 100 ft. tall) stone structures sprinkled throughout Ireland. 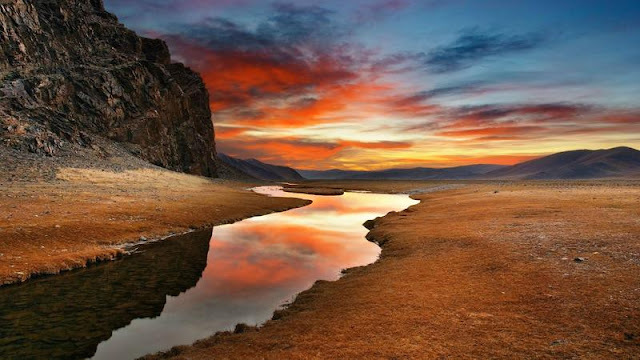 They are believed to have been built sometime between the 7th and 10th century. But, no one knows why they were built. Theories abound, of course, including the idea that they are paramagnetic energy receptors. Whatever they are meant to be, they remain as beautiful reminders of past human efforts. Wolves and Wolfhounds: Humans have been in Ireland a very long time, but wolves were there long before any of them. There have been wolf remains dated to 34,000 BC. They came early and stayed until the last one was killed in 1786 (300 years after they were killed off in Europe). In the years in between, they became a part of legend and myth, as well as a daily danger to humans who encroached on their forest. There are many accounts of them feasting on the leftovers of a battlefield or an unlucky passerby (St. Patrick, no doubt, had his run-ins with wolves). Ireland even became known as “Wolf Land”. 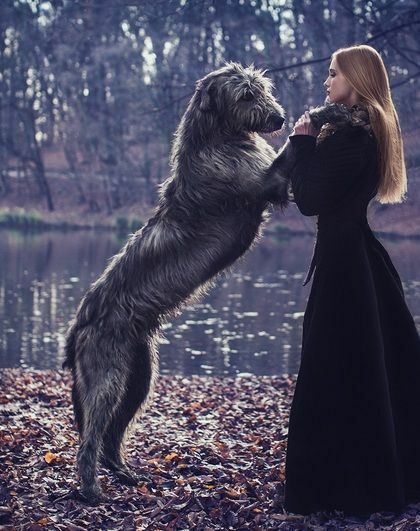 It makes complete sense that out of this bounty of wolves, the Irish developed the Irish Wolfhound. It was already an established breed in 391 A.D., when one was taken to Rome. This massive beast can stand up to 7 ft. tall on its hind legs and was bred as a war dog and wolf killer. This ferocity, however, has been bred out of them and modern Irish Wolfhounds have a gentle and calm disposition. There is an Irish proverb that says: “Gentle when stroked; fierce when provoked”. But, that may refer to the human Irish as well. Old school pub: The oldest pub in the world is Sean’s Pub, smack in the middle of Ireland in Athlone, County Roscommon. Still thriving today, it was opened in 900 AD! 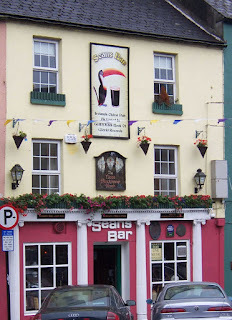 I’m sorry I missed it while I was in Ireland; it will be on the list for my next visit. Did an Irishman “discover” America? : Many people believe that St. Brendan (461-577 AD), from County Kerry was the first European to see North America. That’s approximately 500 years before the Vikings and 1,000 years before Columbus! 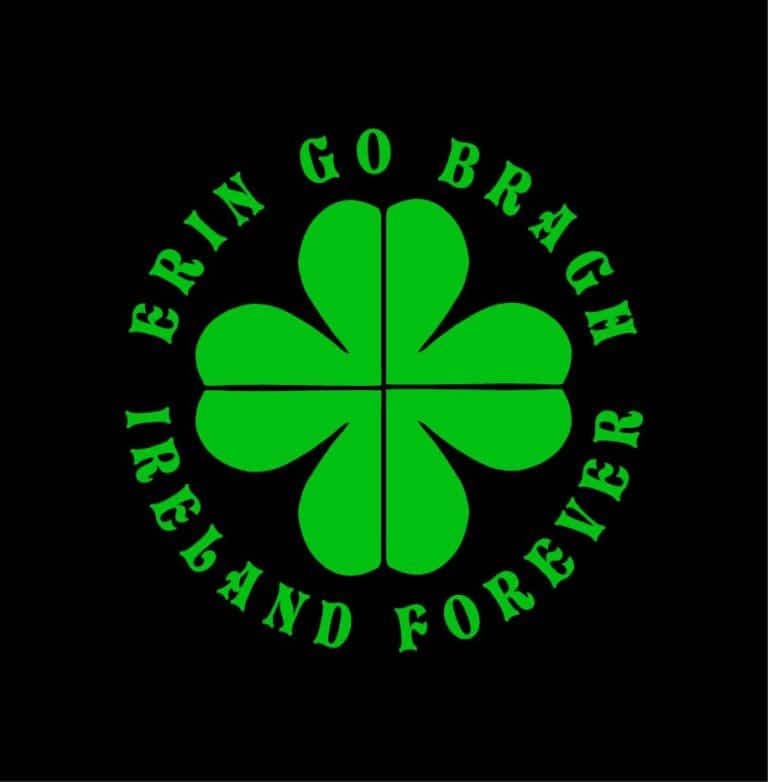 The true colors of Ireland: Most people (in America, anyway) think “Green” when they think of Ireland, and it is called the “Emerald Isle” for good reason. 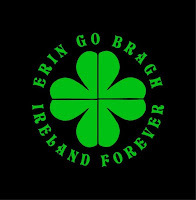 But there are other colors that have deep meaning to the Irish. Orange has been a symbol of Protestantism in Ireland since the time of William of Orange (1650-1702). Over the years, green became the color of the Catholics. When the Irish Free State (now known as the Republic of Ireland) gained its independence from England in 1921, they adopted a flag that has green and orange with white in the middle to symbolize the hoped-for peace between the two religions. 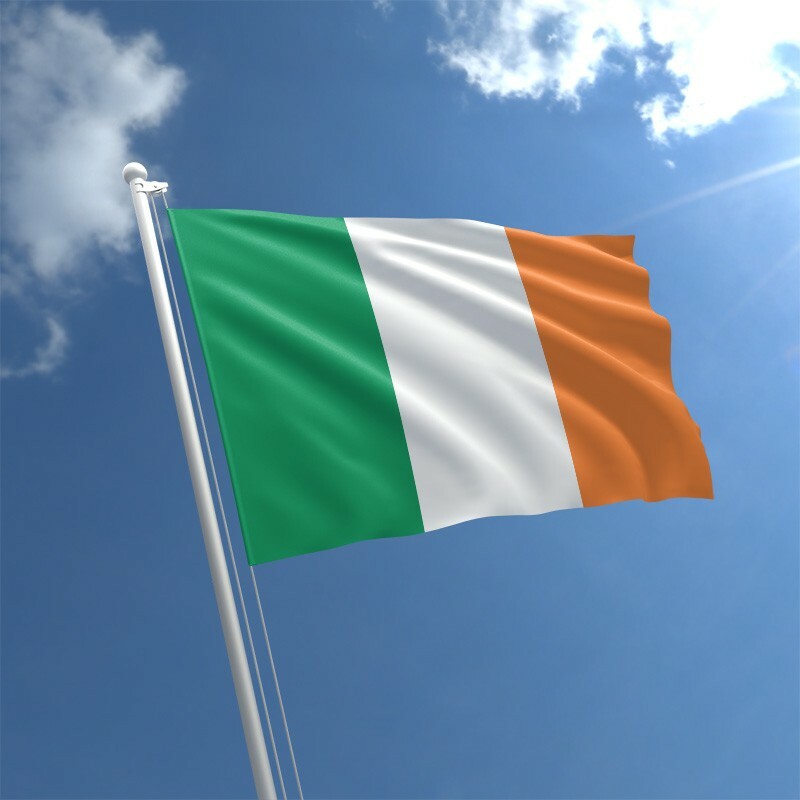 Like orange, blue is not a color that most Americans associate with Ireland, but it was the original color linked to St. Patrick. In fact, the official “St. Patrick’s Blue” is a lovely sky blue. Moneygall, County Offaly in the 1850’s. Guinness: This one thing that is as beloved in Ireland as it is in America. Back on December 31, 1759, Albert Guinness signed a lease that may be the longest running ever. He agreed to pay 45 Irish pounds a year for 9,000 years! It’s a good thing that it’s well-loved lager! 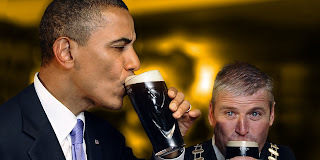 In case you were wondering, here is a video on how to properly drink a pint. I hope that all of this adds to your understanding and enjoyment of St. Patrick’s Day. We Irish-Americans have come a long way since my grandmother’s time, when the Irish were often treated despicably. We owe it to our ancestors to honor the homeland and it’s traditions on this grand day. They may look like kissing bugs, but they aren’t! Assassin Bugs are garden predators in the family Reduviidae. They come in an assortment of sizes, shapes and colors ranging from the large, ridge backed wheel bugs to the milkweed assassin bugs (Zelus longipes) dressed for Halloween. The common thread running through them all is their immense appetite for other insects, particularly the plant-feeding kind. Gardener’s Note: If you look closely, assassin bug egg clusters can be found near food sources laid on leaves and branches. 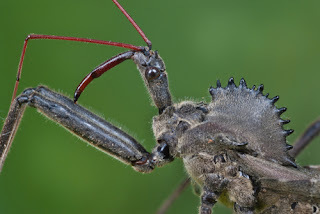 Assassin bugs pin prey with their strong front legs and use a “beak” (rostrum) to pierce them, then inject a mixture of digestive enzymes and venom. This noxious concoction liquefies their prey's innards making a bit of a bug slurpee. The same burly front legs used for pinning are coated in a sticky resin that allows these backyard assassins to trap pests without escape, saving them for a later meal. Nimble and hungry, assassin bugs both ambush and actively hunt for food, making them a versatile beneficial predator in gardens and farms. 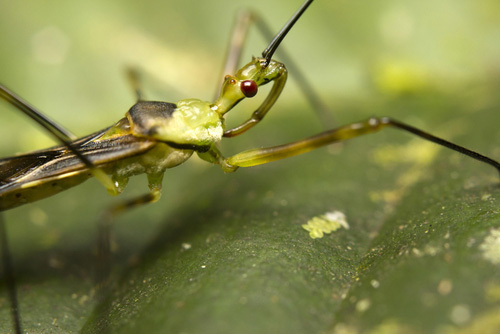 Similar to Minute Pirate Bugs (Orius insidiosus), assassin bugs have a tendency to kill for the sake of killing instead of stopping when they are full. Just what we want as pest-abhorring gardeners. View a video of an assassin bug hunting here (video credit: Smithsonian Channel). "Please don't interrupt my meal. Thank you kindly." The leafhopper assassin bug gives gardeners and growers a multi-tool predator in the growing area. They gleefully feed at all life stages on most garden pests including aphids, leafhoppers, thrips, small caterpillars and mealybugs. In addition to their broad prospective menu, assassin bugs live for up to two months and reproduce rapidly, making them ideal for continued control of a target pest. If you don't want to use pesticides, assassin bugs will give you a hard working organic defense against your garden foes. Our assassin bugs (Zelus renardii) are reared locally at our Catalina insectary north of Tucson. They are available online or for in store pickup in 250 count egg clusters.